What sets you off? And! What can you do about it?! 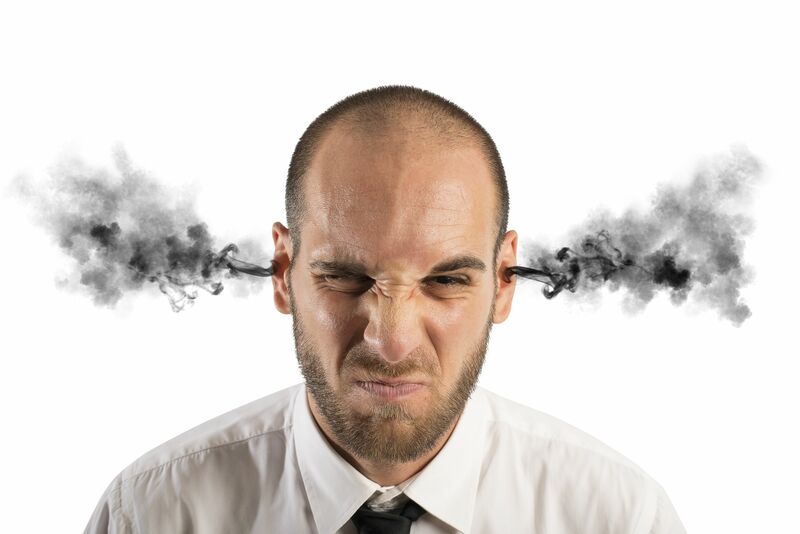 Are you actively aware of the environmental happenings around you that prompt you to become internally frustrated or worse, to outwardly act out? “Triggers” is how author Marshall Goldsmith describes them in his recent book of the same name. Whatever you call them, they are those moments that bring out the worst in you. The more you understand what causes them, the more you can begin to self-talk your way into preparing a better reaction to help you calm down and not over react. One of my triggers is when I encounter a “no-can-do person.” You know them. Those people that robotically cite a nonsensical policy or refuse to exert a tad bit more energy finding a solution to a small problem. Yes, it’s the small things that sometimes get us the most, isn’t it? Take the true time I was at a small café in Romania, (I am not blaming the whole country for this incident, of course, merely setting the scene). The café’s window advertised a “soup and sandwich” special. “I’ll take the special, please,” I said. “As I said, that is not possible. We’re out of soup,” was the incredible retort. “But can’t you just make me a sandwich on its own?” I prompted (starting to feel that trigger blood pressure rise). “No. We cannot make sandwiches until we first make more soup to go with it,” was the honest-to-trigger-happy final response I received. I say final, because immediately after that I turned on my heels and left. The café chose to let a potential customer leave, rather than make a sale. Here in Nigeria, where I am spending the week touring the country leading training sessions on Leadership and Communications, I encountered a similar “no-can-do” person at the Port Harcourt airport. Last year in Port Harcourt – looked a lot like this year – except for one thing! We had just snapped a photo of our team upon arrival when a non-smiling young man approached us. “You cannot take photos here. Delete that,” he said. A nearby older man came over and completely agreed with the younger man. I was about to persist, when from my right came a voice of reason. My co-trainer, colleague, and friend – better known as the acclaimed Nigerian executive, leadership coach and keynote speaker that he is, Richmond Dayo Johnson – reminded me of what was important. Don’t try to reason with the unreasonable. Get on with the important things in your life. For me, having that photo was not one. 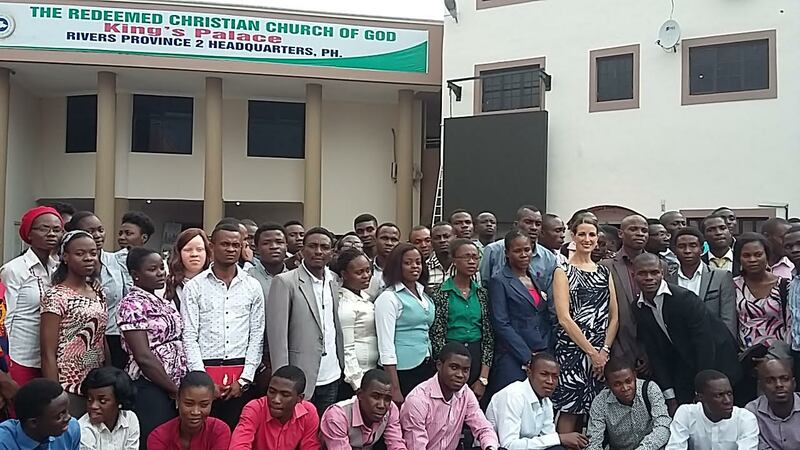 So, now, I am happily posting our team photo from Port Harcourt from last year! And I am also thanking, RDJ, and Marshall Goldsmith and others who remind us to remember to stay focused on the important things and not get distracted by the chaos around us. Life can be chaotic. 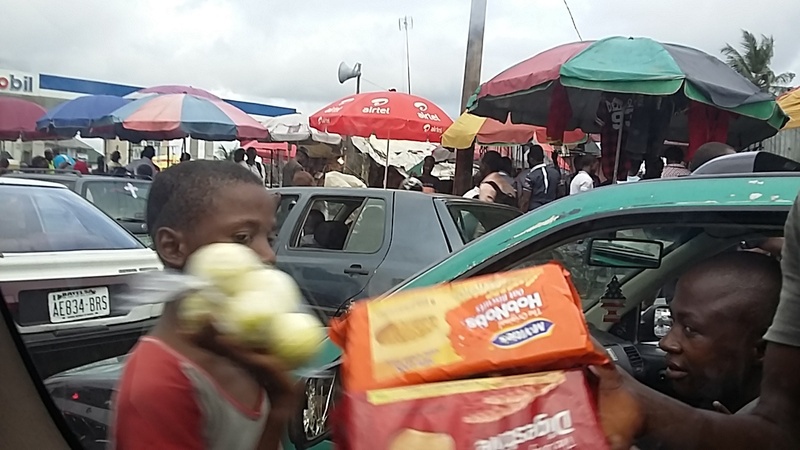 As I look outside my window on the Nigerian street scene passing by, I see Hawkers squeezing between the jammed traffic, trying to sell figs or biscuit or bottles of water. I see crowded market stalls teeming with people. It’s a bit chaotic, but believe it or not, it is largely calm. People are going about their day. In the past year, our team coordinators, Omon and Ibukun, have each been robbed in their cars; Omon was robbed by gunpoint. And yet, they go on. They are here. Committed to helping us bring leadership and communications training to hundreds of college leaders around their country. How dare I get deterred by an unjustly deleted photo? But you know it happens to you too, doesn’t it? The car that cuts you off when you’ve politely signalled your intention to change lanes. The clerk at the DMV who turns you away for whatever miniscule reason without any emotion at all. The work associate who has still not read your email. We all have our triggers. But, honestly, unless you’re a Syrian refugee, battling a life-threatening illness, or grappling with a small handful of extreme life-impacting events, you’re probably doing okay. Take note and consider alternative ways to react. And count your blessings it’s not worse. Always learning and growing! Here’s to making it a great week. At Saturday’s Port Harcourt Training session – where cameras WERE allowed. I have lived in Nigeria for a number of years. You generally are not permitted to take photographs of airports or other government buildings and the same applies in a lot of African countries. You were lucky the person just asked you to delete the photograph. I have a friend who was detained, questioned for some hours and almost deported for taking a “selfie” at the Lagos International Airport. The security rules in Nigeria change on an ad hoc basis depending on what has been happening or what the Security forces think might be going to happen. It was quite unnerving to find armed guards searching everyone before we entered the shopping mall after having our car searched. It usually means something bad is in the air. Be careful in Port Harcourt, even if you have been there before. Hi MadonnaV – First off, thanks for taking time to read – and to comment. You are absolutely right! I should’ve been grateful that nothing worse than a stern, “Let me watch you delete it” order was given there on the tarmac! This was my seventh trip to Nigeria and I have never ever had even the teensiest problem before. 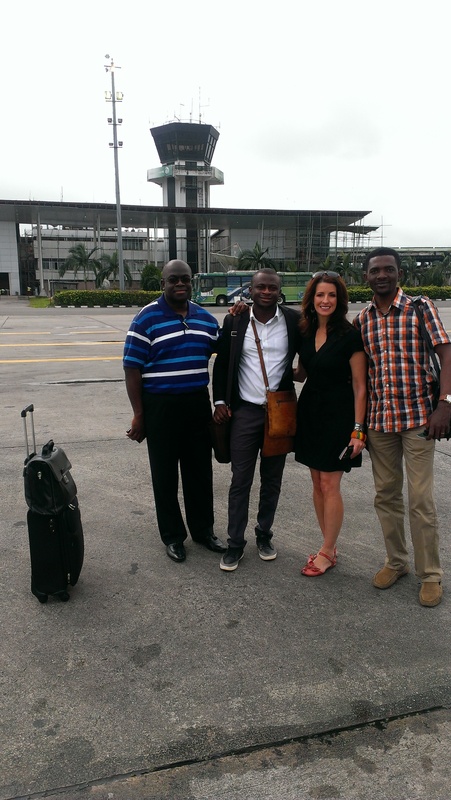 Second trip to Port Harcourt – and other than the airport issue, everything and everyone else was just fine. Do you still live in Nigeria? Do you mind sharing what brought you there? I have lived in Nigeria for 3 years because my husband works for a Nigerian company that provides gas to the new power plants. He is American and I am Australian. We live in an apartment in Ikoyi which my husband is filling with his passion – African art. We have had a few experiences in Nigeria that were a little alarming. If you are ever in Lagos, maybe we could meet for a meal and I can tell you about them! (we have learned to be careful about what we put in writing). Great! I will likely be back early next year. Almost always spend time in Lagos.Look forward to meeting you!